The view from a suite. One suite can come with two double beds. The living space in the Executive Suite. Selection of spices for offered for steak. 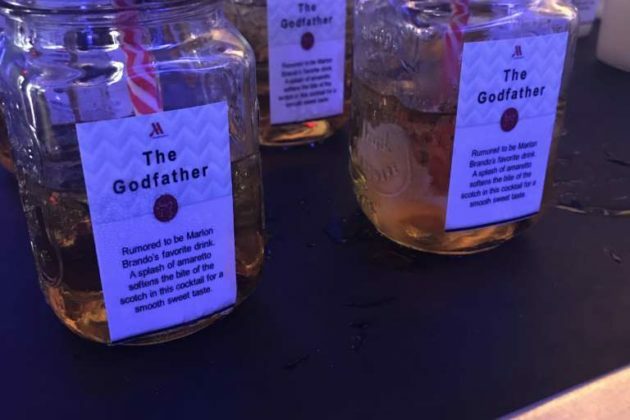 The Godfather, rumoured to be the favorite drink of actor Marlon Brando. 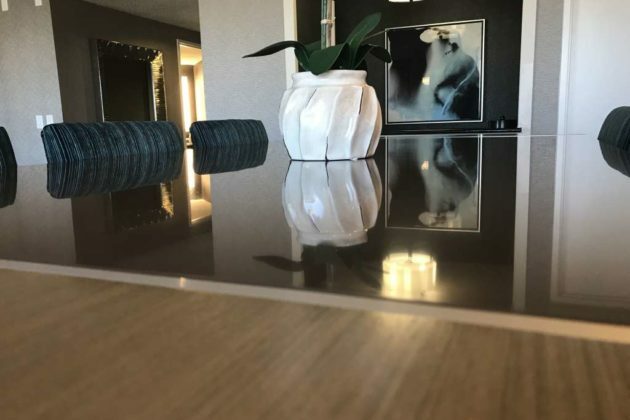 The executive suite space can be reserved without a bedroom. The M Club is accessible 24-hours. 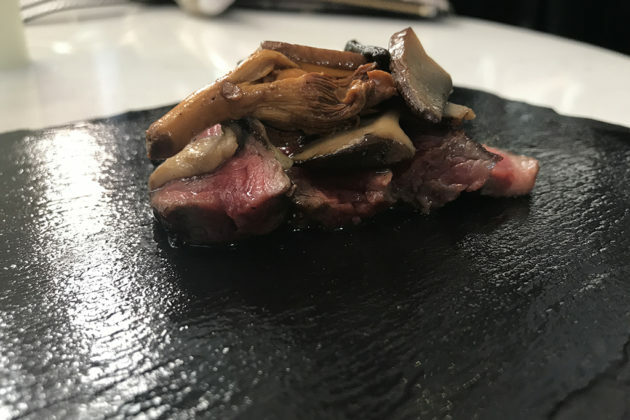 The New York Strip steak topped with mushrooms. 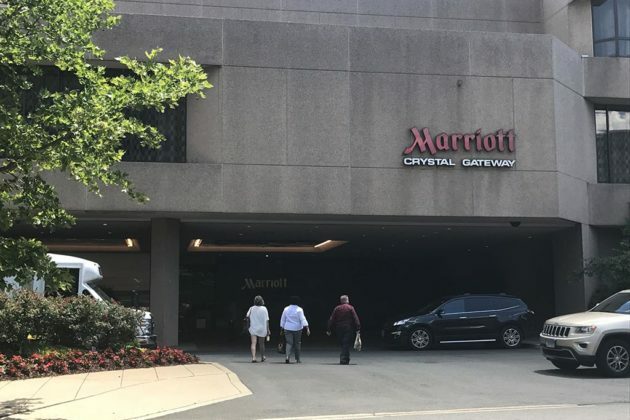 The Crystal Gateway Marriott hotel at 1700 Jefferson Davis Highway in Crystal City showed off some of its recently-completed renovations yesterday. 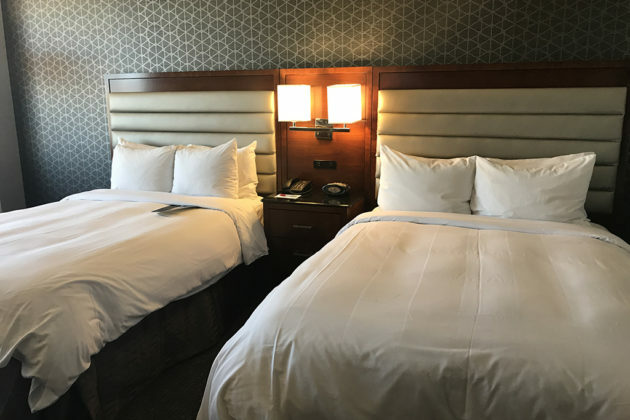 The nearly 600-room hotel figures prominently into Arlington’s hospitality industry, hosting tourists, business travelers and large meetings. 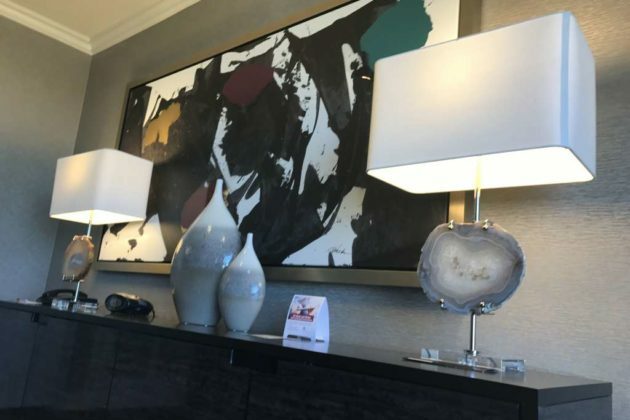 Major upgrades were made to the guest rooms, imparting a more modern design and moving away from the hotel’s red and gold color scheme to a royal blue one. Behind the renovation is general manager Regan Linke, who worked as a bartender when the hotel first opened in 1982. “I came back about five years ago and the hotel was in need of some renovation,” said Linke. 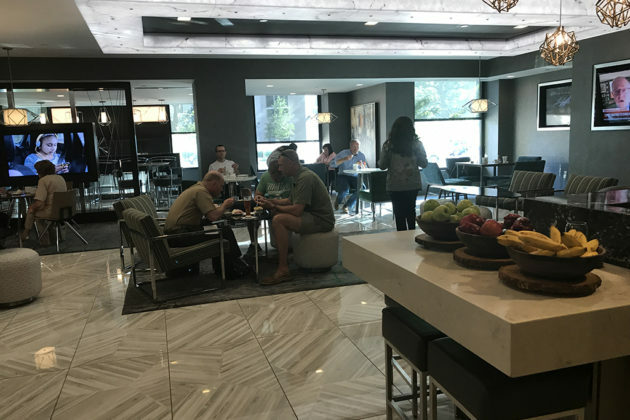 The remodel also included the addition of the new M Club Lounge for Gold and Platinum Elite Marriott Rewards members. The 24-hour lounge area has coffee, snacks and wine for members. The rest of the lobby will be completed later this year. The hotel also gave a taste of its new restaurant 15th & Eads, named after the intersection it sits on. 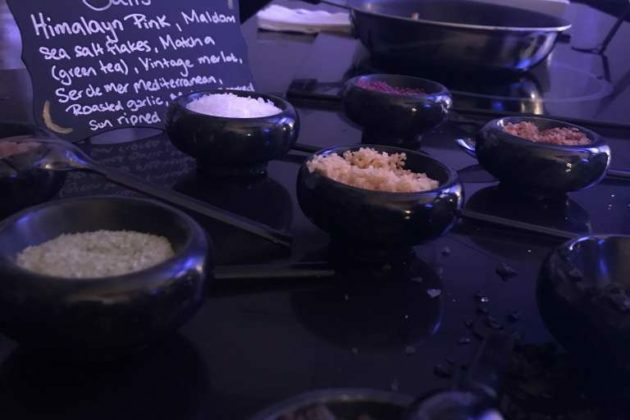 Included were mixed drinks served in mason jars, a selection of flatbread pizza, sliced meats and cheeses and made-to-order samples of New York strip steak. 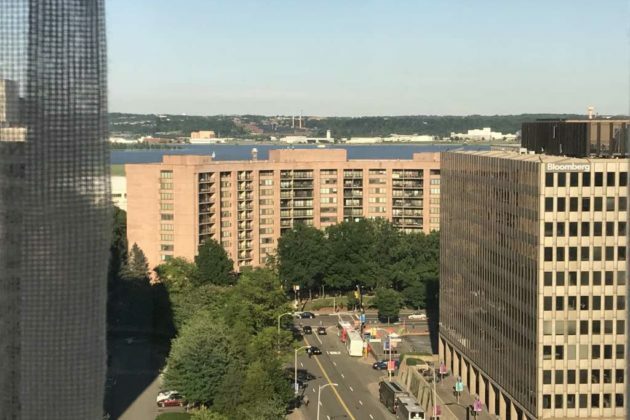 It also follows a trend for the area, which has undergone significant changes within the last year, including a slew of new restaurants, businesses and the Transitway bus system and its new dedicated lanes in the neighborhood. Flying Colors: Why Do We Feed?